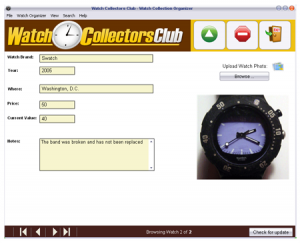 Finally, my dreams have come true of building my own watch collection software. I’ve always wanted to customize a way for own collection on my PC/laptop. So I’ve made it available to the Watch Collectors Club 100% free. It is very simple but very useful. Use the Watch Collection Organizer to record and track your watch collections as it grows. Keep a list of all of your rare watches and clocks in the program and track the value, price and dates that apply to each watch. You can enter the city where you acquired and brand of your watch. Sort by Brand, Year, Price..
Watch the demo video. 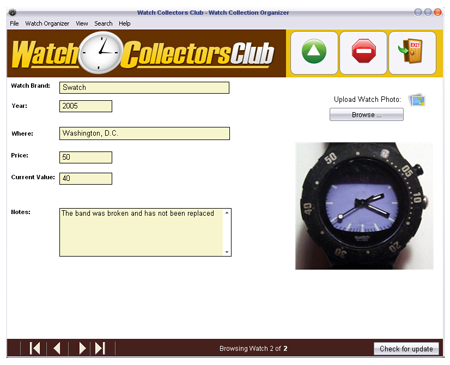 Join the Watch Collectors Club free to download the software.